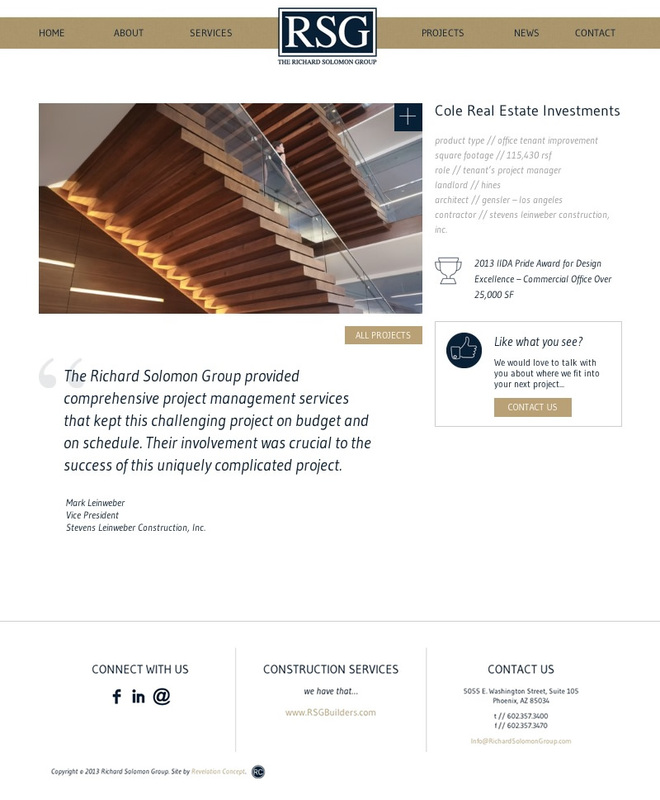 Richard Solomon Group contacted me to help them redesign a pre-existing website. They wanted something minimal in design with some not-so-flashy user experience enhancements. 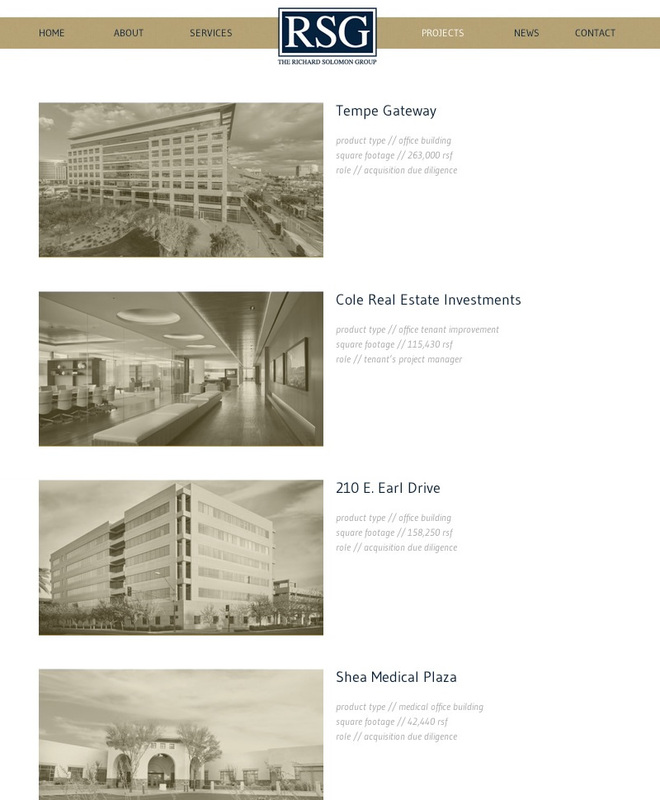 We kept the aesthetic clean and fresh and integrated some subtle UX details that quietly compliment the content without overwhelming the users. 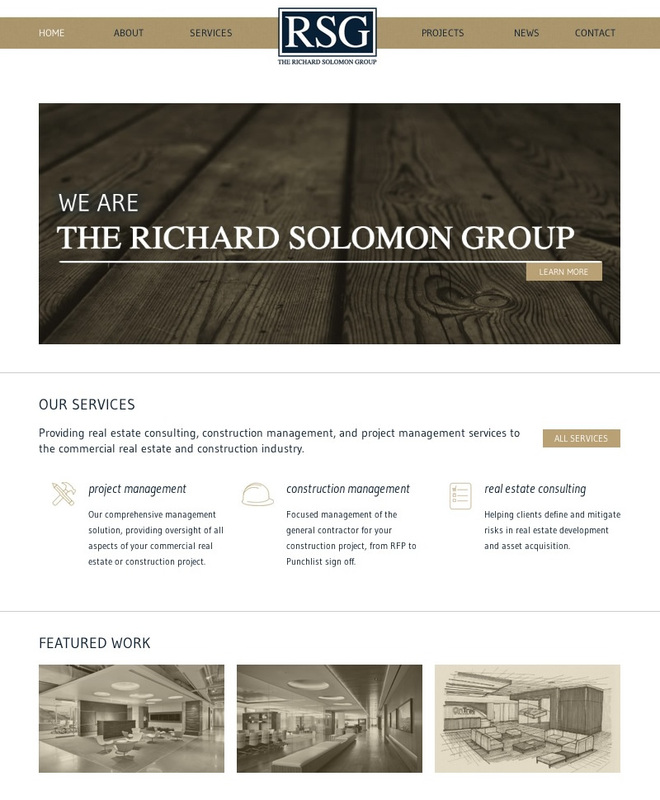 I did a custom build for the Richard Solomon Group’s new site (HTML5/CSS3/PHP) utilizing WordPress. They have the ability to manage their site’s content fully, from choosing featured projects and adding team members to swapping out icons etc. 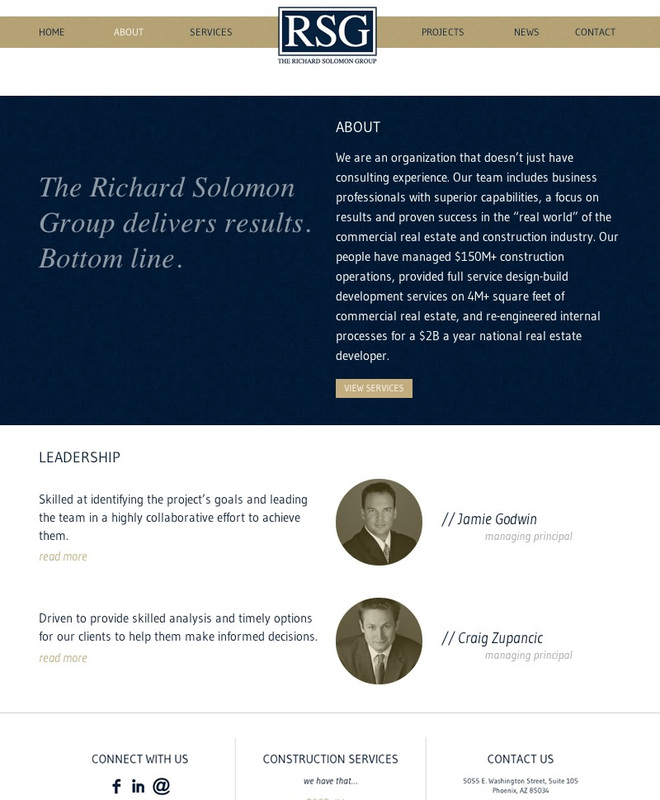 I provide hosting and continued support for the Richard Solomon Group.